If you’re trying to increase site speed by caching Google Analytics code then you’re in luck. 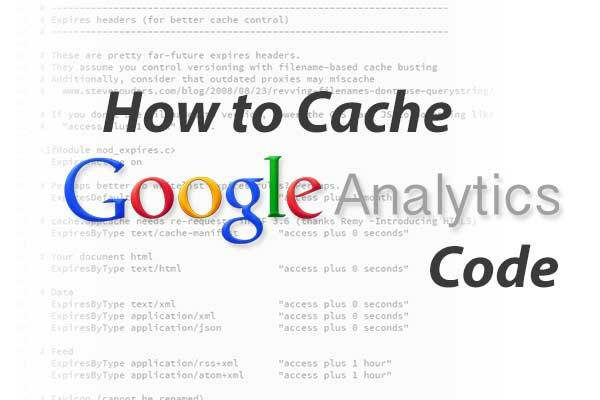 I’ve created this guide with easy instructions on how to cache your Google Analytics code. Creating a cron job to grab the latest version of the script. If you don’t have hosting with Cpanel, you’ll have to learn how to add a cron job without Cpanel which is not covered here. I recommend starting a rich text document and pasting your GA code into it temporarily for reference later. What does this file do? It simple grabs the analytics.js file from Google and downloads it to the specified location above. Change the $location variable to reflect the full path that the Analytic code will be downloaded to. Save. The sample above shows the file, analytics.js , will be saved in the /public_html folder (also known as root). Google does update analytics.js now and then. If we don’t get the latest version you may miss out on cool features and updates. So go into your Cpanel account and find “Cron Jobs” under the advanced tab to create a cron. In the Add a New Crob Job box, select “Once Per Day” in the Common Settings so you don’t have to deal with Minute, Hour, Day, etc. How your host setup php may be different than what we have so it’s best to ask your host what the correct link is. Note, that there is a space between the two urls. The first url points to php and the second points to ga-update.php that grabs the Analytics code from Google. Now that you have a file that gets the code and a cron job to make sure it’s up to date, you’ll need to cache your local copy of analytics.js. #   "access plus 1 week" or so. ExpiresDefault                          "access plus 1 month"
ExpiresByType text/cache-manifest       "access plus 0 seconds"
ExpiresByType text/html                 "access plus 0 seconds"
ExpiresByType text/xml                  "access plus 0 seconds"
ExpiresByType application/xml           "access plus 0 seconds"
ExpiresByType application/json          "access plus 0 seconds"
ExpiresByType application/rss+xml       "access plus 1 hour"
ExpiresByType application/atom+xml      "access plus 1 hour"
ExpiresByType image/x-icon              "access plus 1 week"
ExpiresByType image/gif                 "access plus 1 month"
ExpiresByType image/png                 "access plus 1 month"
ExpiresByType image/jpeg                "access plus 1 month"
ExpiresByType video/ogg                 "access plus 1 month"
ExpiresByType audio/ogg                 "access plus 1 month"
ExpiresByType video/mp4                 "access plus 1 month"
ExpiresByType video/webm                "access plus 1 month"
ExpiresByType text/x-component          "access plus 1 month"
ExpiresByType application/x-font-ttf    "access plus 1 month"
ExpiresByType font/opentype             "access plus 1 month"
ExpiresByType application/x-font-woff   "access plus 1 month"
ExpiresByType image/svg+xml             "access plus 1 month"
ExpiresByType text/css                  "access plus 1 week"
Change your GA code so it points to where your analytics.js is on your web server. If your analytic.js is in /public_html then your link should look like www.yourdomain.com/analytics.js . Now you are able to place GA code at the end of your header or footer as usual. Why go through all this hassle? Google pushes everyone to leverage browser caching of css, js, and html wherever possible so your site loads faster. I don’t see many sites that implement caching of Google Analytics so this may give you a competitive edge. We are currently using this on our sister sites and it’s been working great for us. I hope you find this guide useful or informative at least. This entry was posted in Search Engine Optimization and tagged google analytics, optimization, pagespeed insight on March 30, 2015 by Tan Tuohy. The Landing Pages report has a (not set) entry. Verify that tracking code for property Damn Fine Shave sends a _trackPageview hit and that it does this before sending any events. First make sure that the cron is setup correctly and that it’s actually downloading the Google analytics code to your local server. Hi does this work with the latest release of GA? i tried to do this. created “ga-update.php” file and upload it “public_html” folder. than created cron job “/home/myaccount/public_html/ga-update.php” but i could not get analytics.js file to public_html folder. where did i wrong. am i need to create js file by my self ? i understood that ga-update.php file downloads js file to public_html folder by it self. can you help me please. I have tried to solve the Facebook pixel load in the same way but it generates errors. Do you know any way to do it?